Why Do We Make So Many Different Epoxy Coatings? Because You Need A Product That Was Designed To Closely Match The Performance Demands Of Your Floor For The Best Results. One of the main reasons a lot of epoxy floors fail is because most people think all epoxy floor coatings are alike and can be used anywhere. So they buy an epoxy floor coating that may be good for one type of floor but is completely unsuitable for another. Many times an epoxy floor coating that never had a chance to survive in the environment it was placed in is blamed when it fails. Every floor is different, some are porous, some have moisture issues, some are flaky, some are rough and some are loaded with oil, grease, chemicals and other things too numerous to list. Yet there are epoxy coating companies that make one or two different coatings and market them for everything under the sun. Amazing! 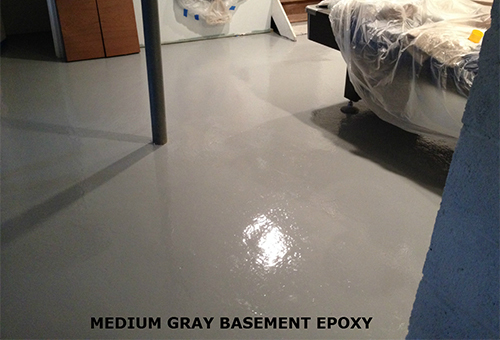 Our advise is to buy an epoxy floor coating that best fits the type of floor you'll be coating. If your floor is exposed to acids and chemicals you need a coating that's specifically made to handle harsh chemical and acid exposure. 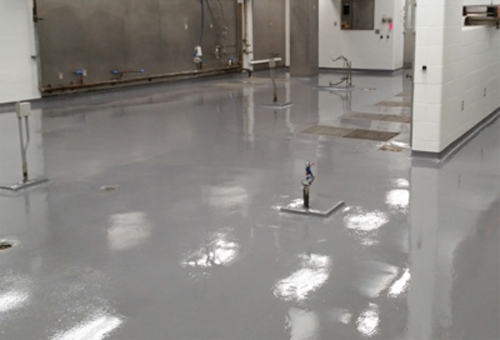 Most quality floor epoxies can handle a limited amount of exposure to a limited amount of chemicals. But if your floor is exposed to harsh chemicals on a daily basis then you need a specialized epoxy coating that is in the Novolac family. Novolac Epoxies are a type of epoxy coatings that are designed to resist damage from a wide range of harsh acids and chemicals. They are far better suited than standard epoxies to handle caustic chemicals. So for example if a home owner applied an epoxy in his floor garage and was happy with it he may justifiably think he could use it at his place of business that uses acids and chemicals. Then the first major spill happens and the floor is ruined. Most likely the epoxy will get the blame when it really wasn't the epoxy's fault. So there are so many different floor applications that to think one type of epoxy coating can handle them all is just silly. Kitchens are notorious for destroying epoxy floor coatings. A coating for a commercial kitchen needs to have a high impact rating to withstand dropped pots, pans and dishes. It needs to be able to withstand hot oil spills, constant chemical wash downs and sanitizing. It needs to be slip resistant and extremely abrasion resistant. There's also a lot of feet running back and forth in a commercial kitchen along with carts, dollies and hand trucks every single day. The majority of standard epoxy floor paints would be destroyed in no time in a busy commercial kitchen causing costly downtime to recoat them properly. Better to do it right the first time. We have epoxy coatings specifically made for Commercial Kitchen duty. If your kitchen floor was previously coated with the wrong epoxy floor coating, we even have an Ultra Fast Epoxy Coating that can bring you back in service in 24 hours! 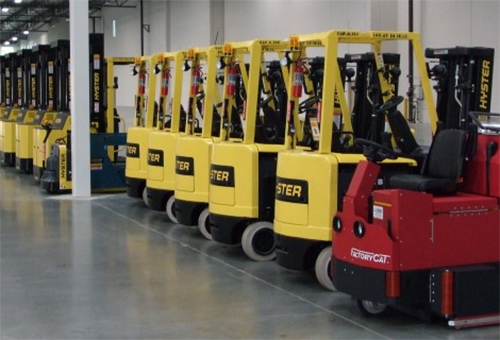 Another example of a specialty epoxy coating needed is a Country Club and large warehouses with many Electric Golf carts and forklifts needing to have their batteries charged each night they have a fleet of batteries that need charging in a certain area. These batteries leak from time to time. Your floor epoxy coating better be battery acid proof! Also golf cart tires pick up debris from the course that gets embedded into the tires. The tires then turn into grinding wheels. Your epoxy coating needs to have a very hard Shore D Hardness rating to resist the grinding effect, same goes for forklifts. Then you have indoors or outdoor tile floors that need to be coated. You need a coating that will stick to tiles. You need a different coating for each. You want a textured coating for outdoor applications. An outdoor epoxy would be specially designed to be textured for slip resistance and have a much higher UV rating to survive constant UV exposure. The same goes for prison floor epoxy. Do you think your garage floor epoxy could hold up in a prison cell? We don't think so. Floors in a prison are subjected to abuses you can only imagine about. You need a specially hardened epoxy floor coating to survive the daily abuse. Most times commercial kitchens and correctional facilities have to stay in operation while the floor is being redone. This means on top of everything you need an epoxy coating that can be applied and be back in full service withing 24 hours or less. This is not your typical type of epoxy floor coating and they're rather expensive because of their special performance characteristics. So to compare a jack of all trades type of epoxy to a specialized epoxy coating is not a fair comparison and most likely not doing yourself any favors either. Finally let's take two simple applications that you would think wouldn't require anything special. Basement floors and walls. You would think a basement floor could be painted with just about any type of floor paint. After all you're not driving cars down there or spilling acids and chemicals on your basement floor either. But you would be wrong. Basement floors can be very difficult to paint. First it's difficult to clean and prep them properly. Unlike a garage where you can acid wash the floor, it's usually not feasible to do that inside your house. Basement Floors are usually very rough, porous and dirty. So you need an epoxy coat that can adhere to less than a perfectly prepared floor. It also should be odorless. Water based epoxies are odorless but they stink at adhering to your less than pristine floor and they have terrible abrasion resistance capabilities. Walls on the other hand have very little stress on them but if you try to paint a vertical wall with a thick two part epoxy you're gonna be in for a surprise. Trying to get that epoxy on the wall without it dripping and sagging is next to impossible. If you're doing a high curb of lets say up to a foot or two is ok but anything over that and you need a specialized epoxy made for wall applications. What if you have a wood floor or a precast concrete floor with some deflection in it? Do you think you can use a standard epoxy on them? The answer is NO if you don't want it to crack. We have a Flexible Epoxy Version of our Coat-All Epoxy System that will solve your deflection issues in either your wood floor or your precast floor. Many Garages or other rooms were built with wood or precast floors over other rooms. The problem is leakage from above into the room below. The answer is an epoxy floor coating. Problem is the floors deflect when your vehicle drives on them, causing them to crack and therefore to leak. ArmorGarage solves that problem! So we hope we've made the point that you should get the best quality epoxy coating that is made to best match your specific application. Doing this one thing will save you a lot of time, money and heartache in the long run. It may cost you more up front but down the road you'll be thankful you invested the extra dollars in getting the right coating for your specific floor application.